Roscoff. – Dirty wet dog , boats and sailing. In June 2016 i sailed the liberty across the channel solo to Roscoff in Brittanny , a passage of some 110 miles from Plymouth and the trip took just over 28 hours in a light northerly breeze but with an awkward channel swell. I landed in Roscoff marina after an uneventful passage , picked up the useful light on the Isle de Ba during the night and entered the port at first light, tired and a bit fuzzy but ok. The marina is typical of the larger French marinas : clean and efficient but large and expensive. I had to leave the boat there and take the ferry back to Plymouth until we could both go back over as foot passengers and start our cruise around northern Brittanny. Aside from a few small local yachts and fishing boats WABI”’ seemed tiny and out of place among the mainly generic French cruising boats of 35 feet and above. The boatyard next to the marina is a lot more quirky : when the French do ‘weird’ they really go at it. 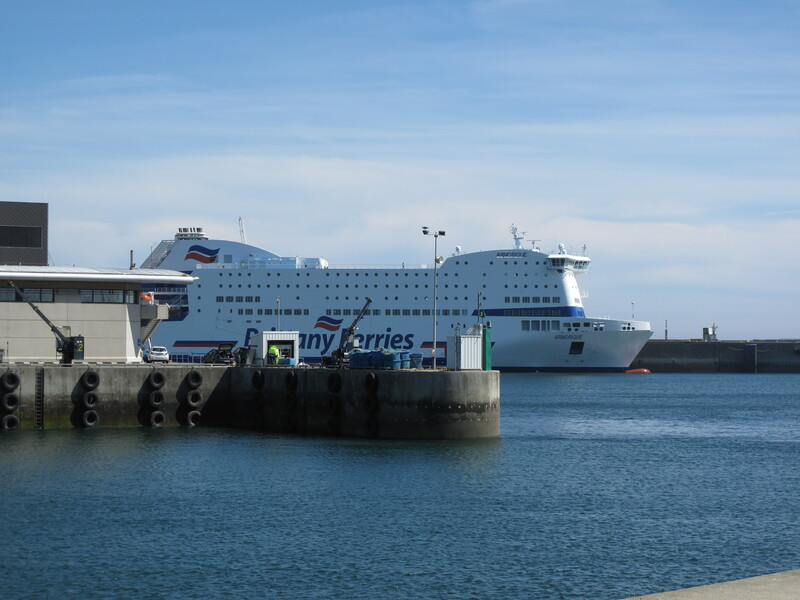 The ferry port is all of 10 minutes walk from the marina and then only 15 minutes brisk walk over into the town itself. I didn’t have time to go into town on this trip but the old harbour is a lot more interesting than the marina, it dries which would suit WABI”’ well.